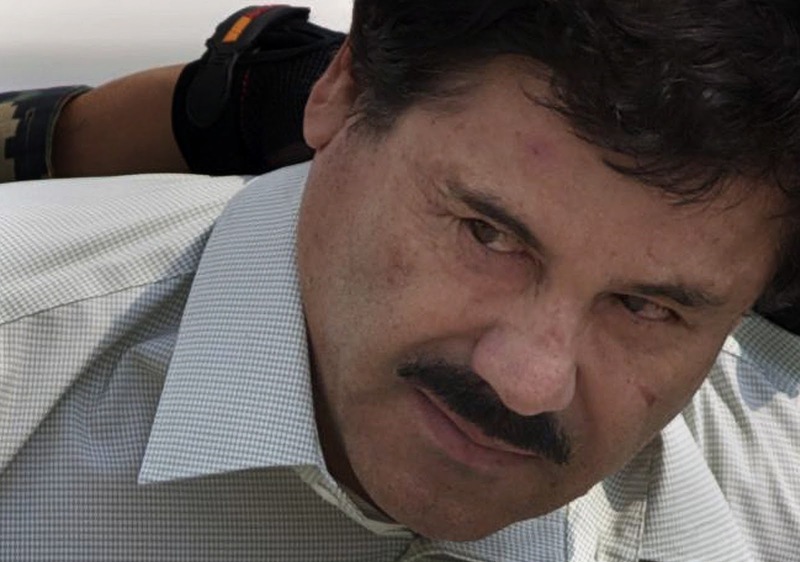 What does El Chapo, Manuel Noriega and Pablo Escobar have in common? They all worked for and were screwed over by the CIA. In operation Fast and Furious, the ATF were selling the Mexican cartel guns and bringing back tons of cocaine into the United States as payment? Did any of them go to jail. Not one. They gave Oliver North a job with Fox News. El Chapo on the other hand is being mistreated in jail for having worked for the CIA just like Noriega and Pablo Escobar. At least Pablo Escobar wasn't mistreated in prison. Torturing prisoners is never a good idea. It reflects a poor self image. When we mistreat prisoners it shows something is wrong with our mentality. I'm sure Dr Phil would have a lot to say about that. The Business Insider is reporting that Amnesty International is worried about 'El Chapo' Guzman's treatment in a US prison. El Chapo's lawyer states: "Mr. Guzman is confined to a small, windowless cell. He remains in this cell alone for 23 hours a day Mondays through Fridays, when he is permitted a single hour of solitary exercise in another cell that contains one treadmill and one stationary bicycle. On the weekends, he is confined 24 hours a day and not permitted any exercise. His meals are passed through a slot in the door; he eats alone." "The light is always on. With erratic air-conditioning, he has often lacked enough warm clothing to avoid shivering. Repeated requests by counsel to the MCC adjust the temperature have landed on deaf ears. He never goes outside. His only opportunity to see daylight is when he passes a small window on the way to his counsel visit or the exercise cell." This kind of treatment diminishes all of us. Mistreating El Chapo will donothing to stop or reduce the drug trafficking of the Mexican cartels. Mistreating him knowin ghe worked for the CIA is yet another example of how the CIA screws people over their assets time and time again. Nabob has a commercial that says respect the bean referring to coffee. I might add respect the Chapo. Respect who he is and what he represents. When the same agencies that participated in Operation Fast and Furious disrespect El Chapo the whole agency is discredited. What did Oliver North have to do with El Chapo or the Fast and Furious?